A classic bag from Chanel in a very special color. 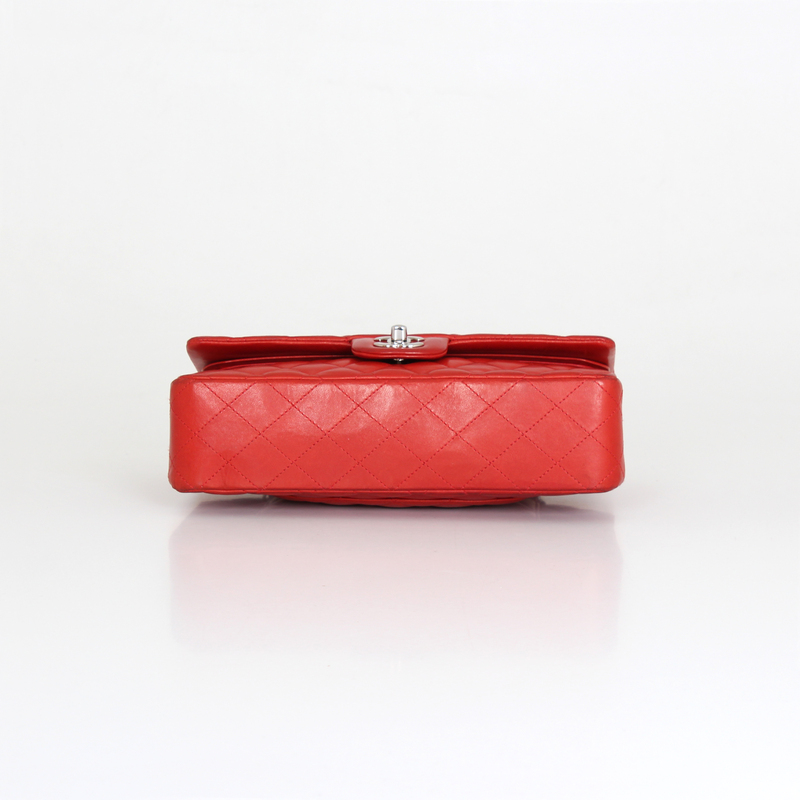 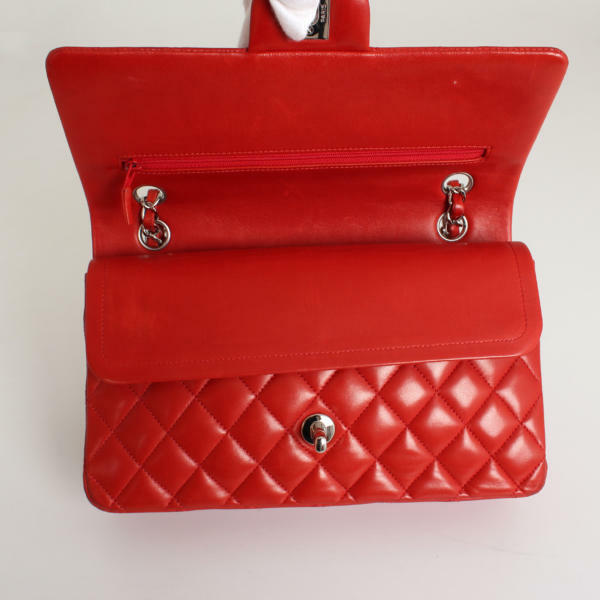 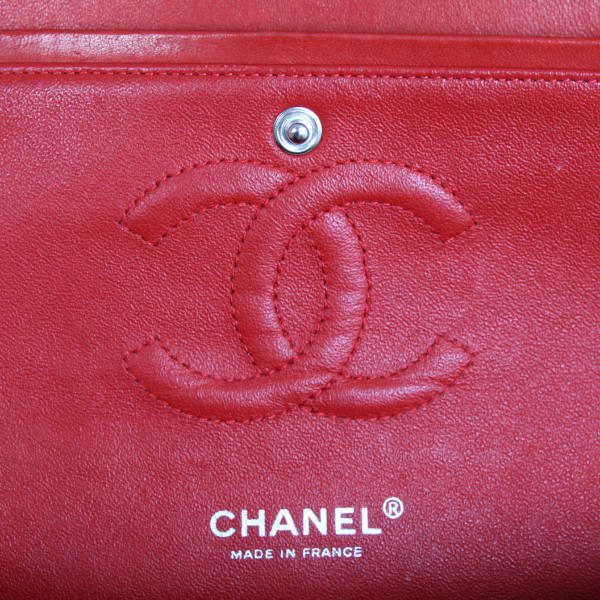 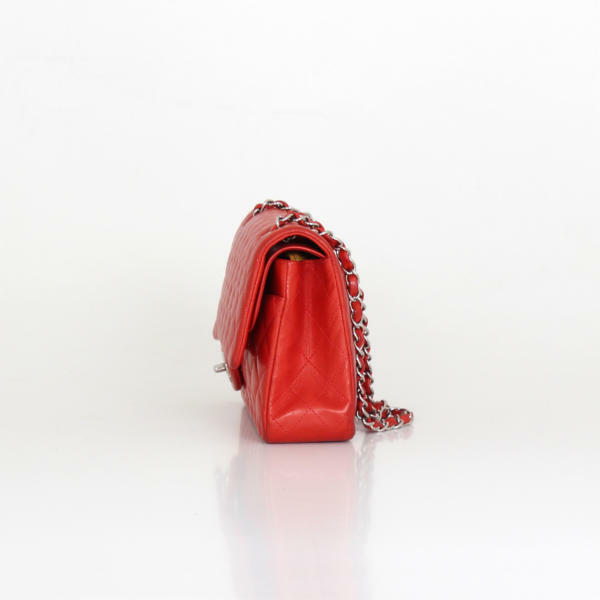 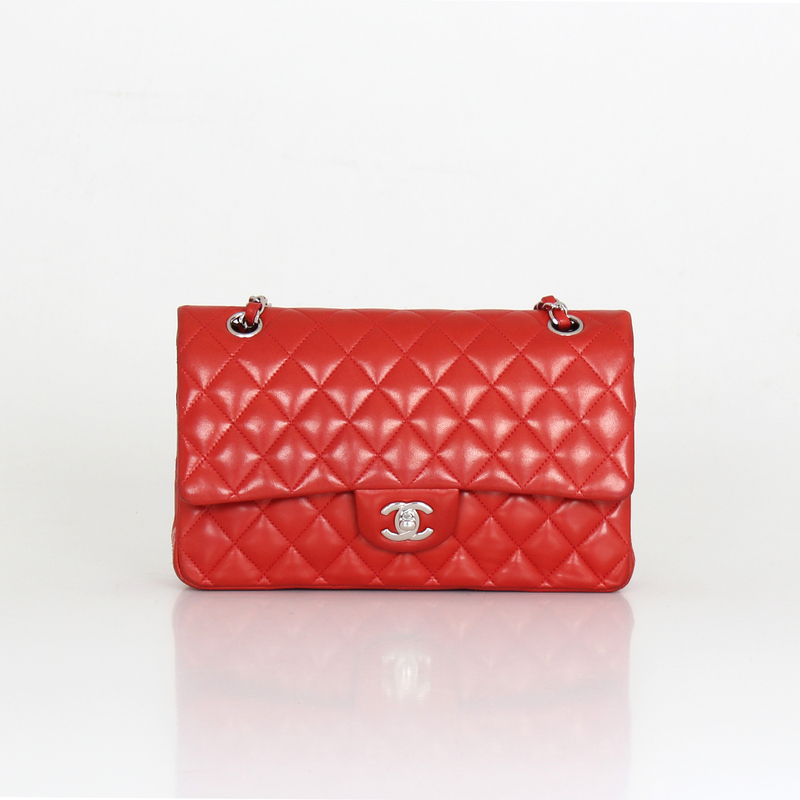 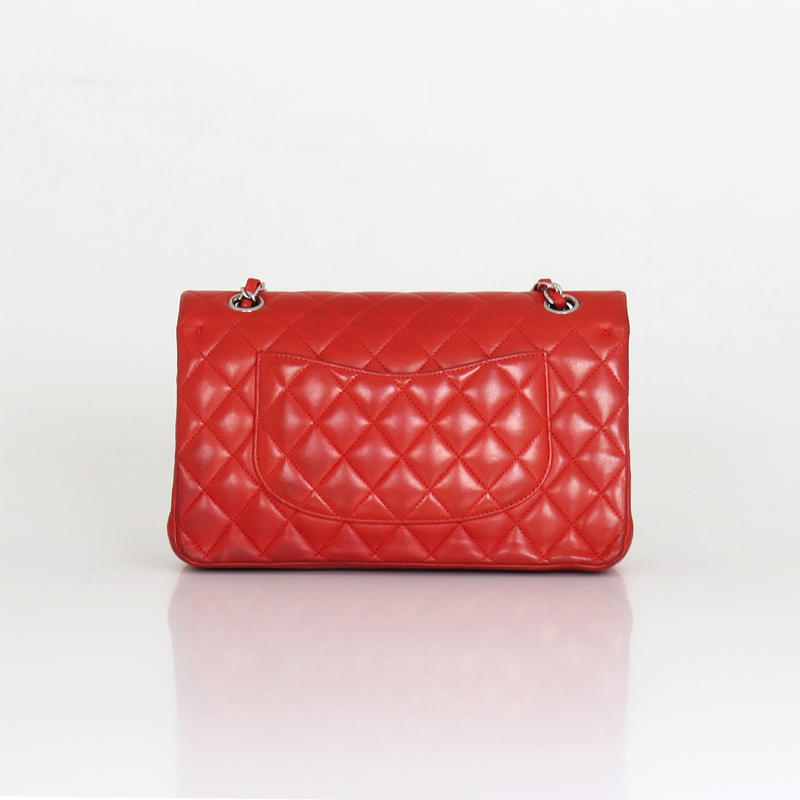 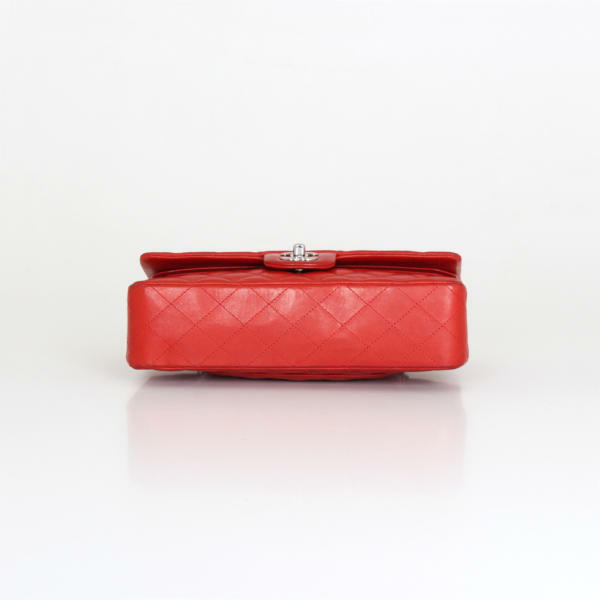 This Chanel Timeless double flap medium bag is crafted of quilted red-brick lambskin leather with silvery hardware. 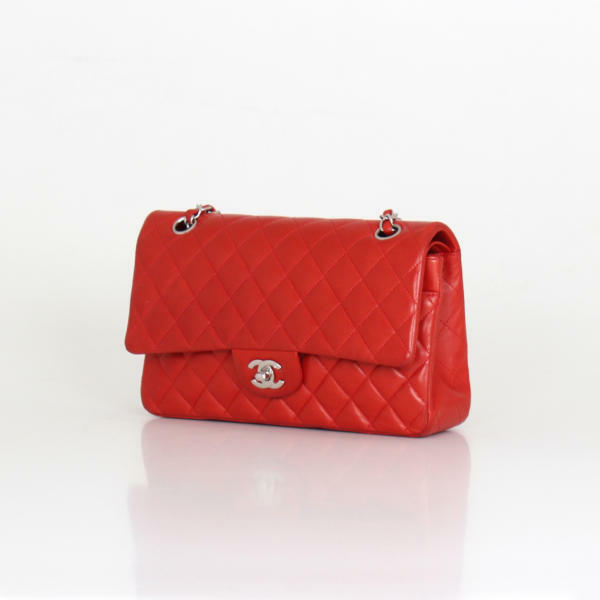 It features the classic interweaved double chain to carry on the shoulder or across the body. 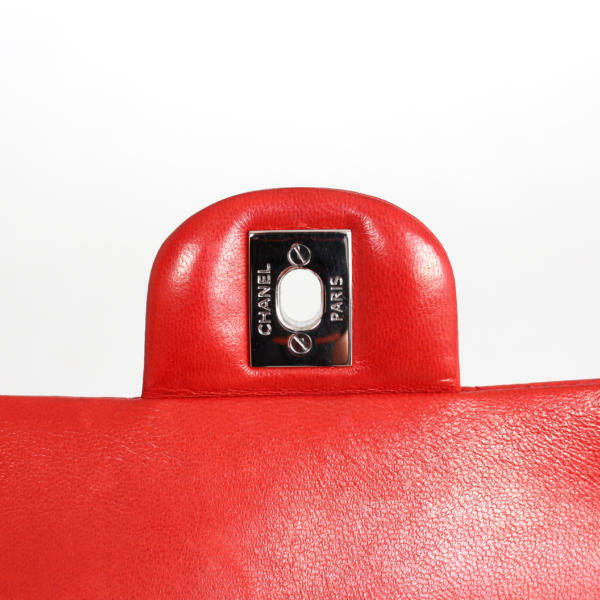 The classic CC turn lock closure gives access to an interior that features one main compartment lined of also red-brick color and different pockets. 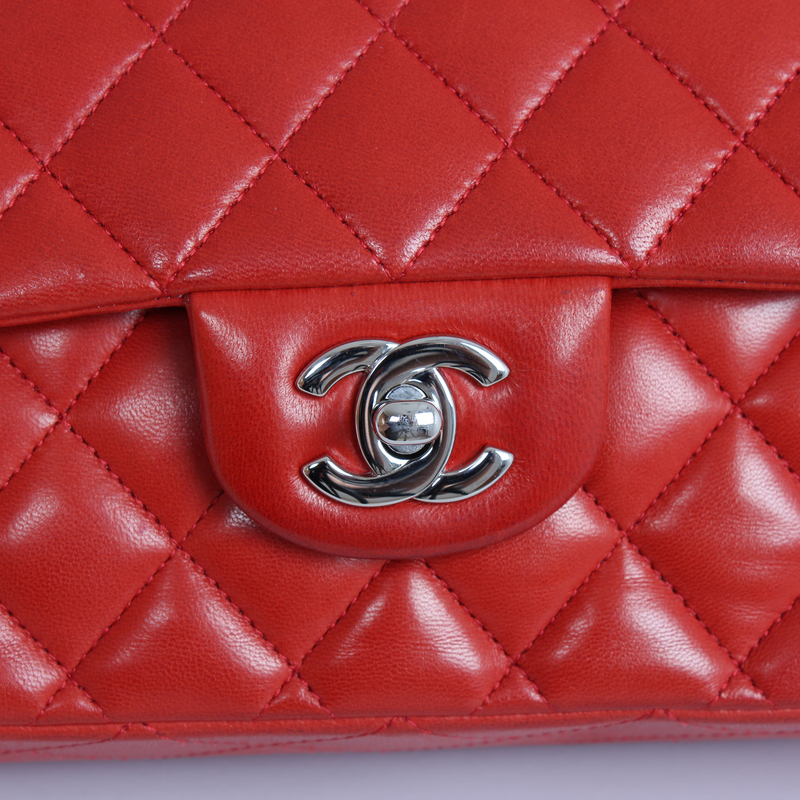 It also has the classic zippered pocket on the inside of the main flap and an open pocket on the back. 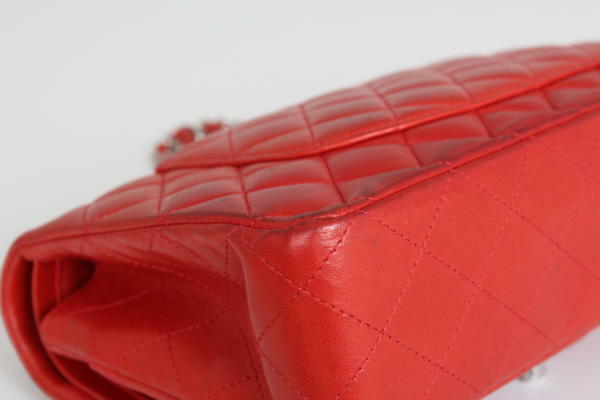 This beautiful handbag from 2011 is preserved in good condition. 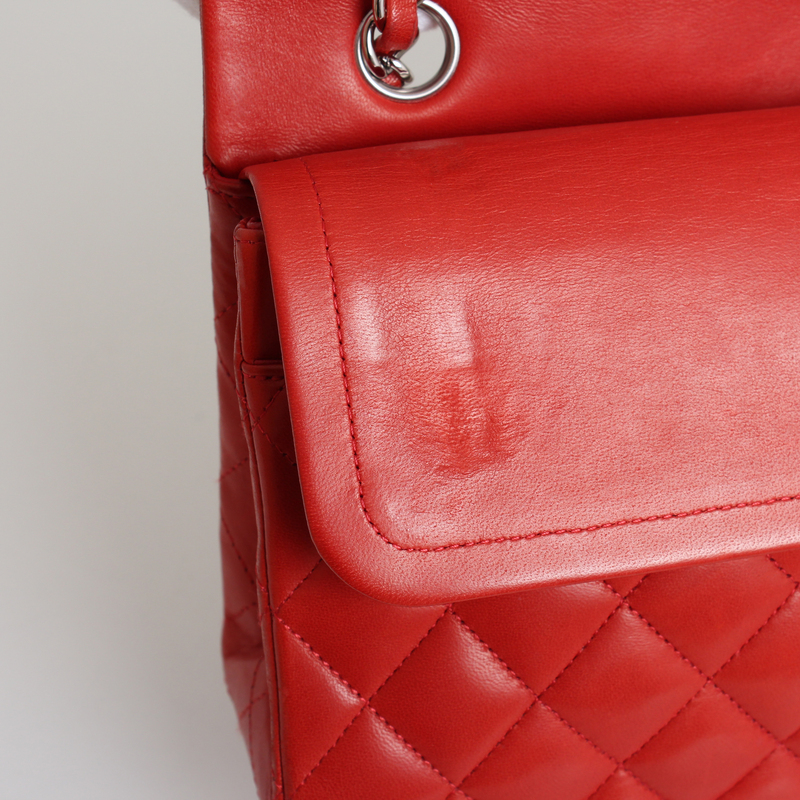 It shows soft wear and marks on the in general, more noticeable at the edges. 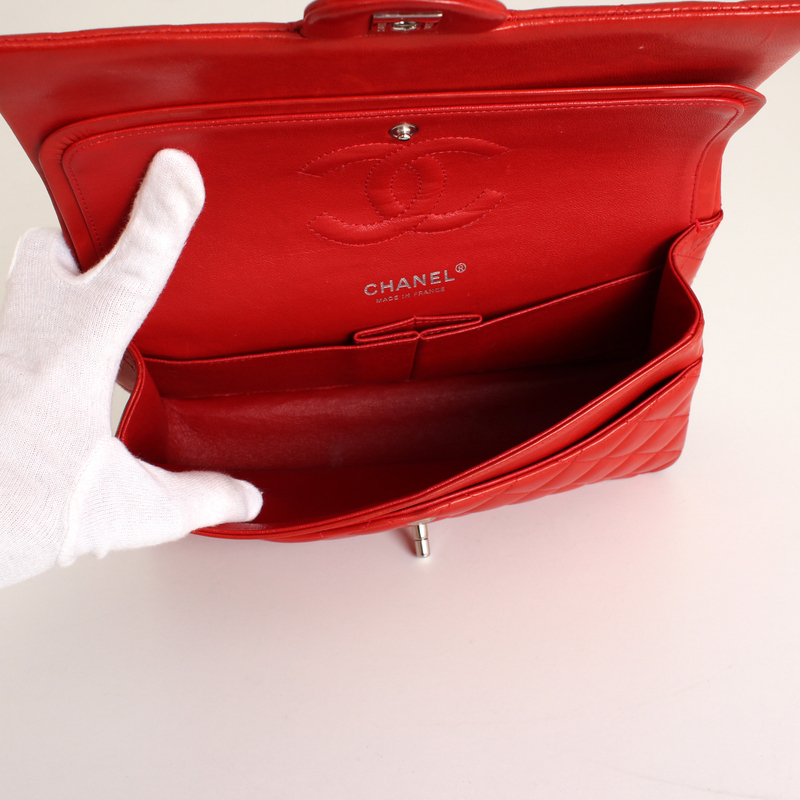 Includes box, paper, dust cover, booklets, cloth and authenticity card.